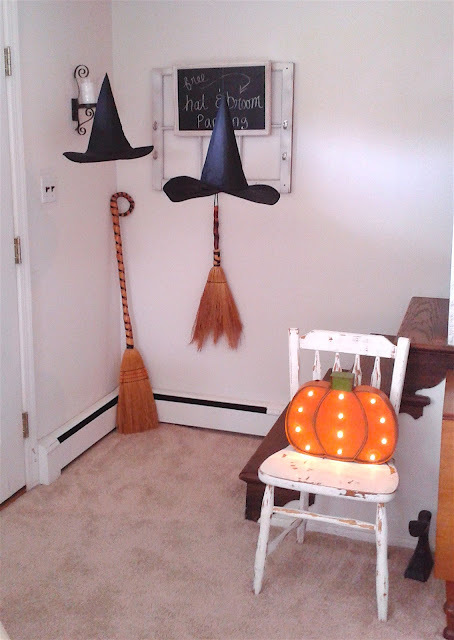 My front door entry is looking super #SPOOKY with this simple Halloween DIY. 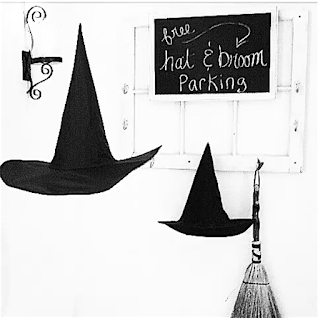 I used clear sewing thread to hang my witch hats, added a couple brooms, and a chalk board sign that says "free hat & broom parking". Watch my spinning witch hat video on instagram.